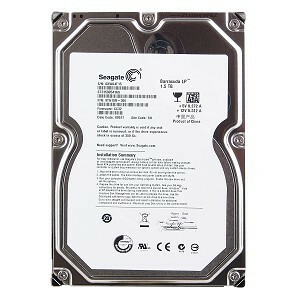 Description: SEAGATE - BARRACUDA 1.5TB (1500-GB) 5900RPM SERIAL ATA-300 (SATA-II) 3.5INCH FORM FACTOR 32MB BUFFER INTERNAL HARD DISK DRIVE (ST31500541AS). IN STOCK. SHIP SAME DAY.